The talk show host is a secret pancake art savant. In case you don’t already know, Jimmy Kimmel is a bit of a pancake artist. He’s since followed up with even more impressive creations like his rendition of Thomas the Tank Engine and Lightening McQueen from Cars. Bonus: Each pancake comes with a photo of Jane admiring her breakfast in all her adorable glory. So when PEOPLE caught up with Kimmel to discuss his friendship with pizza legend Chris Bianco, we had to find out the secrets to his intricate griddle cakes. Mostly, he says, it comes down to the fact that he used to spend hours drawing as a kid—but the comedian does have a few tips you can mimic at home. “I just add organic food coloring to pancake mix and I put each one in a squirt bottle and I’ll just kind of squirt it out on to the pan,” he says with modesty. Using a non-stick griddle pan like Kimmel’s is also key. As for who picks the subject matter: “My daughter makes requests and then I have to obey those requests,” he says. 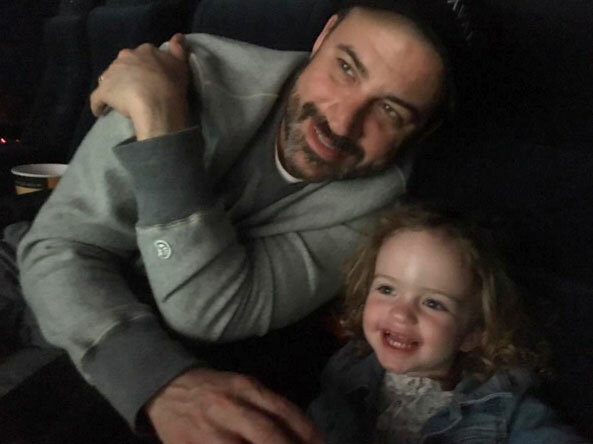 These days, Kimmel cooks for his family as often as he can during the week, and almost every weekend.